Since Natural Horsemanship became popular, many people have changed how they view and, therefore, interact with, the horse, and the lives of many horses have improved. It has proven to be a good start in the right direction. Those of us on The BETR Journey have taken how we view the horse, and therefore, how we interact with her, quite a bit farther. We recently defined The BETR View of the Horse, so that we might share it with others. Horses have been improving people’s lives for thousands of years. They have pulled heavy loads, plowed fields, carried men into battle and on hunts, and have been used as a mode of transportation. Horses have sacrificed so much for the human race throughout all of this time. Nowadays horses perform various sports, carry us along trails, do tricks and play games, and just plain make us feel good, and they still make sacrifices for our pleasure. 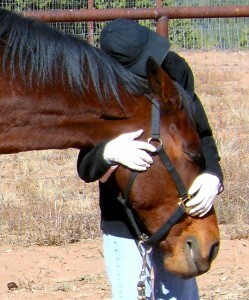 Because we have this BETR View of the Horse, we want our horses to feel good as much of the time as possible. To that end, we learn to become skilled at “reading” our horses, both the obvious, and, more importantly, the subtle communication that the horse is continuously offering us. This allows us to know how she is feeling in every single moment. In this way the horse guides us so that we are able to know if what we are doing is correct, or not correct, as the case may be, in every moment. 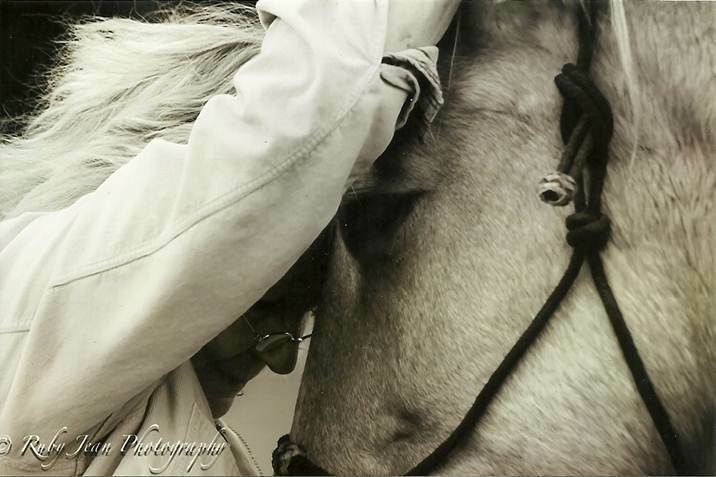 On The BETR Journey, interactions between horse and human are a mutual collaboration. We also learn to develop a keen eye for skeletal alignment and proper and improper patterns of posturing, both at a standstill and in movement. Utilizing The Triple R techniques, we are able to assist our horses in attaining skeletal alignment and proper posturing. In this way we are able to attain and maintain both short and long term soundness in our horses. On The BETR Journey, no steps are missed in the education of both the horse and her human.